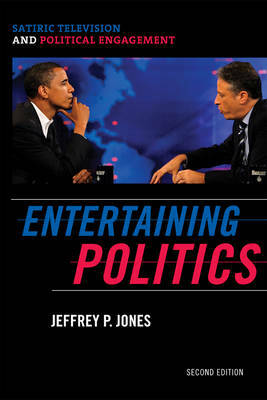 In this completely revised and updated edition (including eight new chapters), Jeffrey Jones charts the evolution and maturation of political entertainment television by examining The Daily Show with Jon Stewart, The Colbert Report, Politically Incorrect/Real Time with Bill Maher, and Michael Moore's TV Nation and The Awful Truth. This volume investigates how and why these shows have been central locations for the critique of political and economic power and an important resource for citizens during numerous political crises. In an age of Truthiness, fake news and humorous political talk have proven themselves viable forms of alternative reporting and critical means for ascertaining truth, and in the process, questioning the legitimacy of news media's role as the primary mediator of political life. The book also addresses the persistent claims that these programs have cynical effects and create misinformed young citizens, demonstrating instead how such programming provide for an informed, active, and meaningful citizenship. The new edition takes account of the many changes that have occurred in television and political culture since Entertaining Politics' initial release.